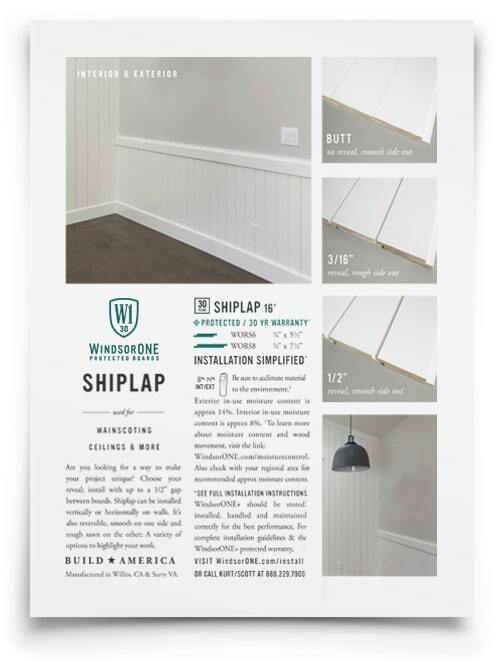 WindsorONE Shiplap Boards are perfect for when you really want people to stop and take notice. 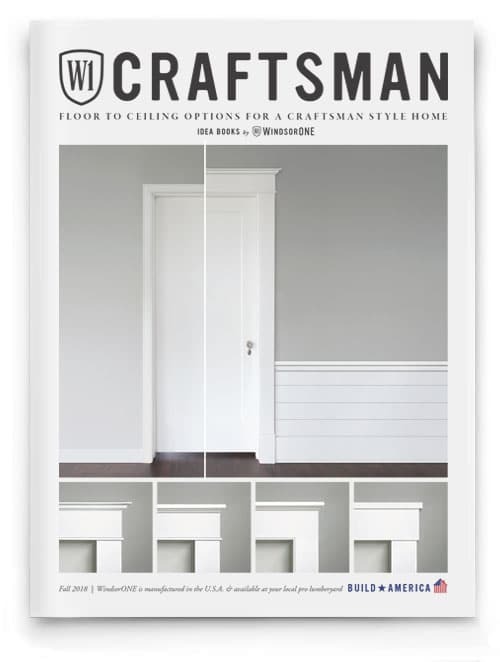 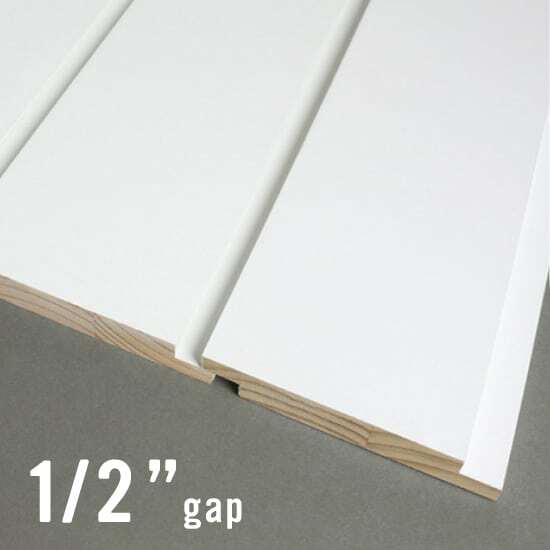 Choose your reveal; install with up to a 1/2” gap between boards. 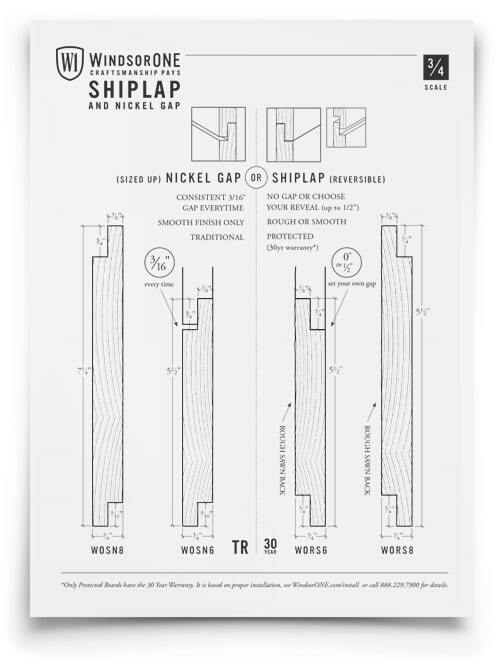 Shiplap can be installed vertically or horizontally on walls. 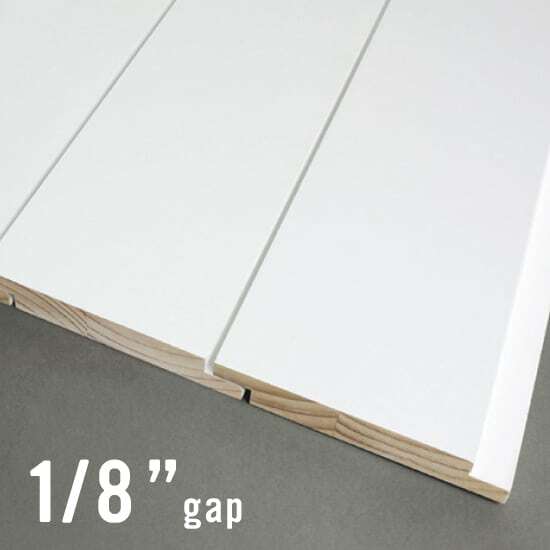 It’s also reversible, smooth on one side and rough sawn on the other; Shiplap boards provide a variety of options to highlight your work. 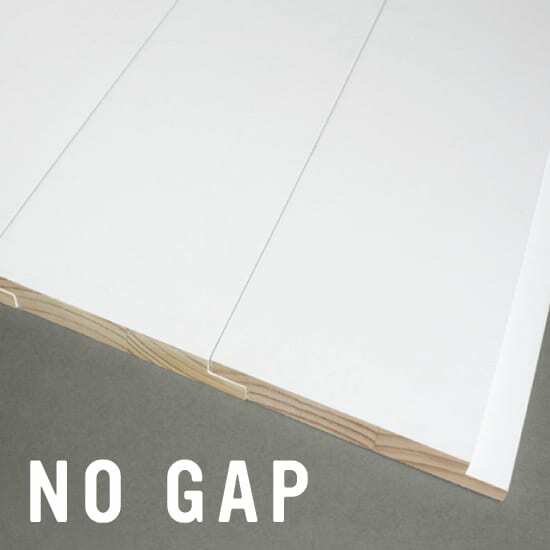 Protected boards come with a 30-year warranty. 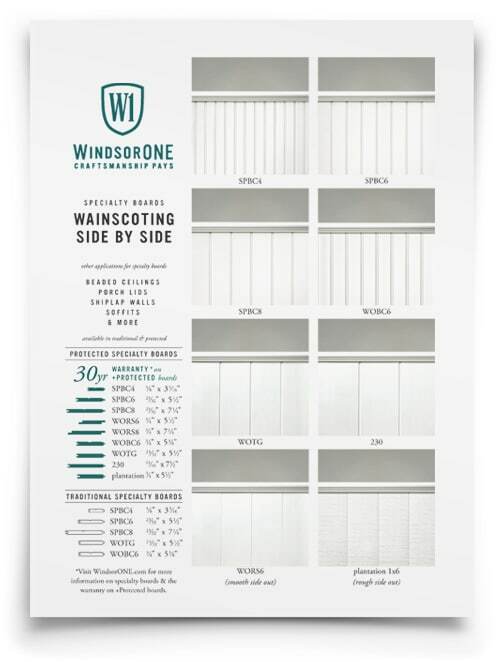 * (Not to be used for exterior siding). 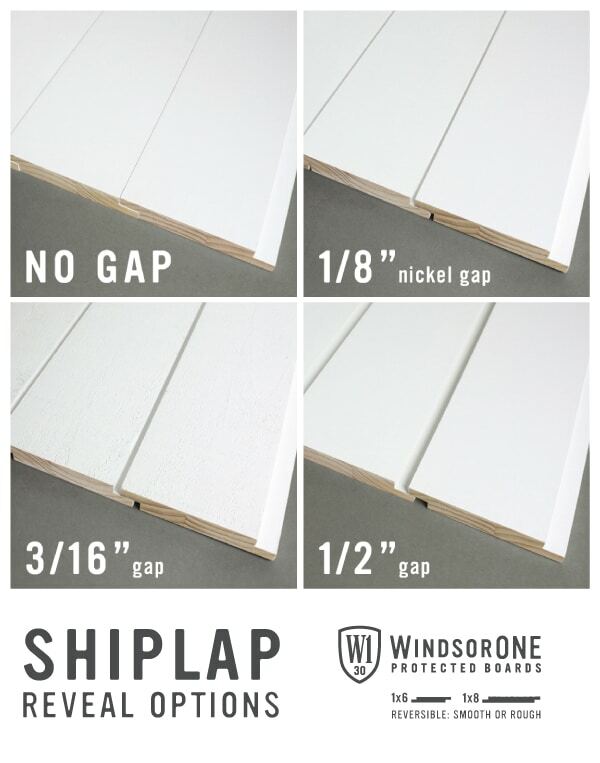 *Note: WindsorONE Protected Shiplap Boards are different from WindsorONE Traditional Nickel Gap Boards. 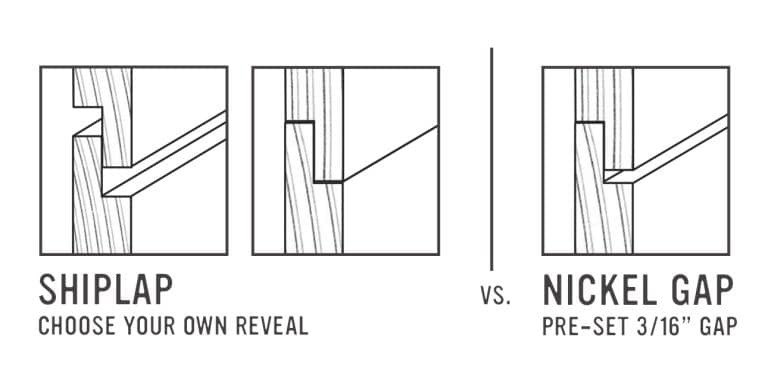 See the Nickel Gap page or ask the boys for more information. 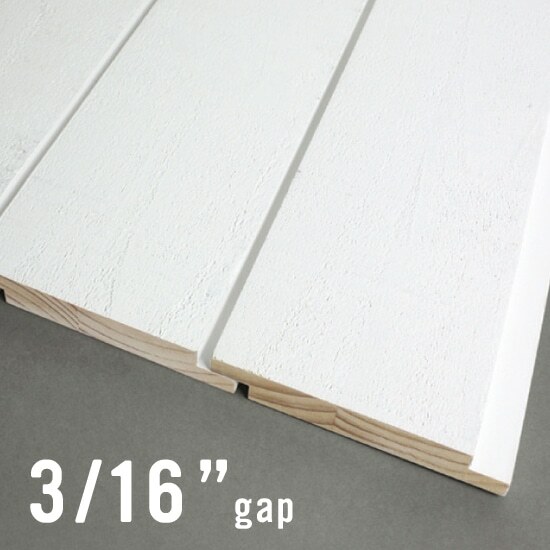 An overview of shiplap boards. 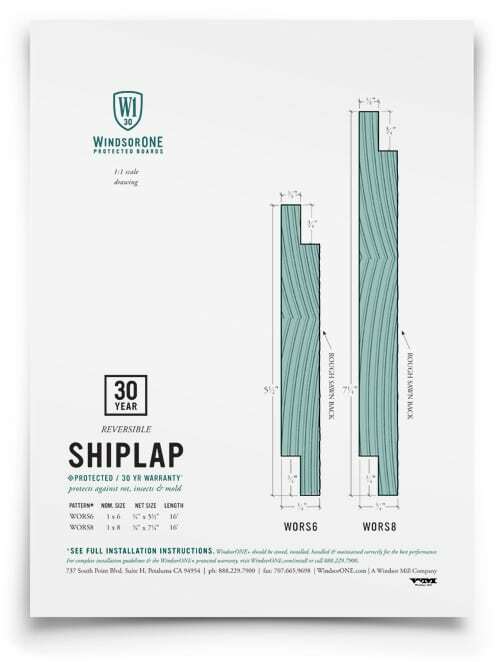 Detailed dimensioned drawings of shiplap profiles. 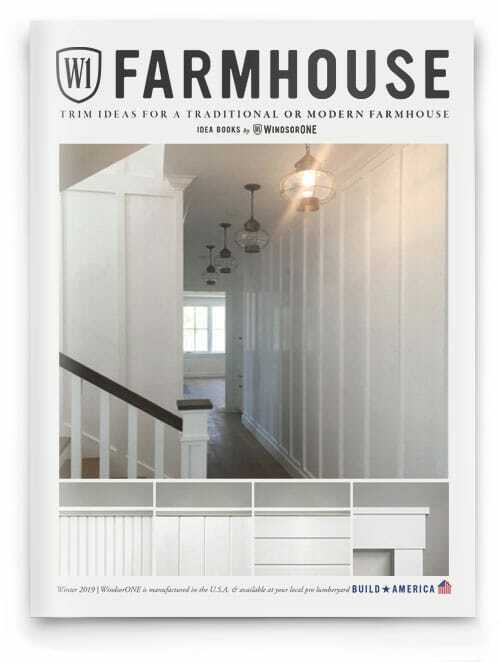 An idea book of Modern & Traditional Farmhouse ideas.